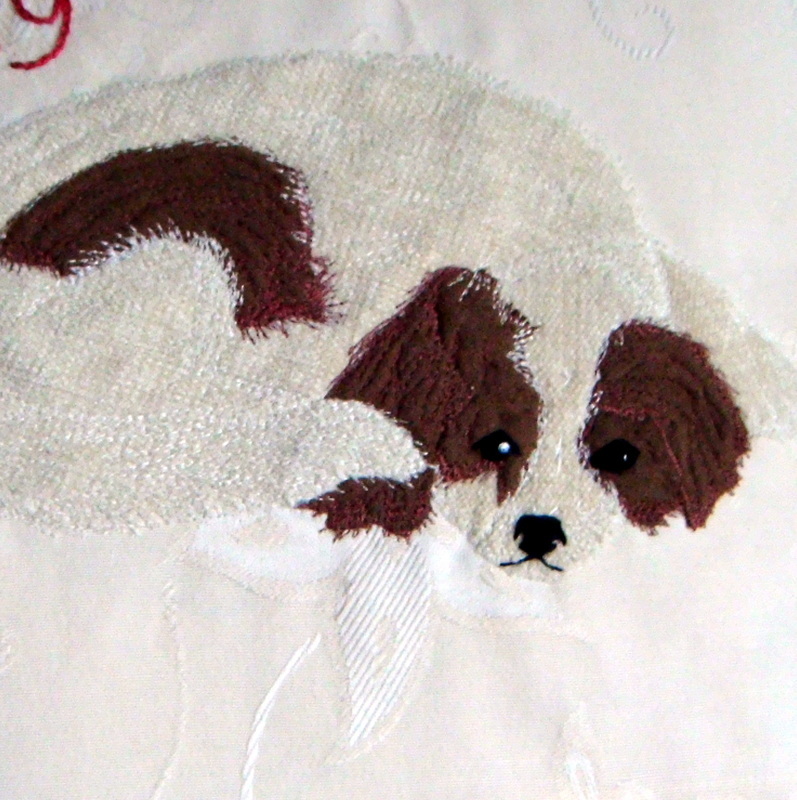 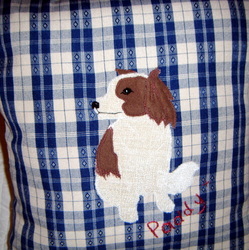 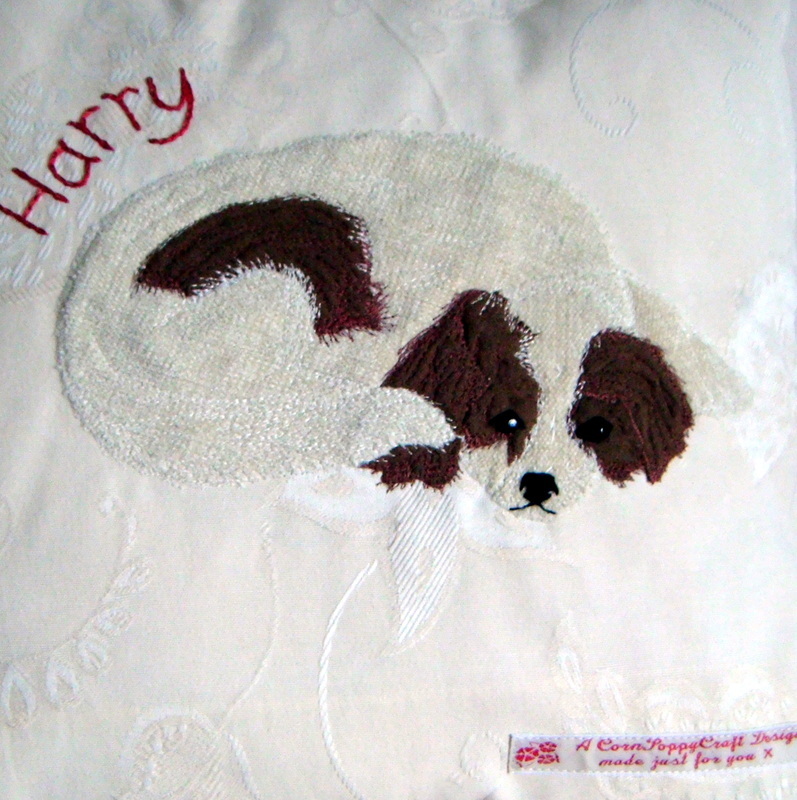 appliquéing an individual portrait onto a cushion. Time and care is taken to research your photographs, along with other images to ensure as true to life likeness as is possible. 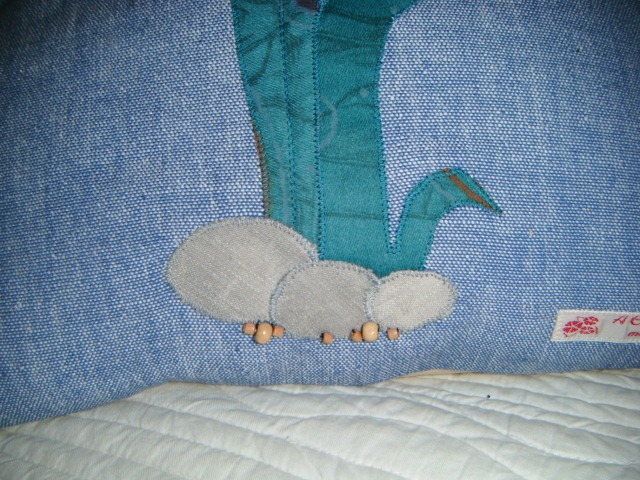 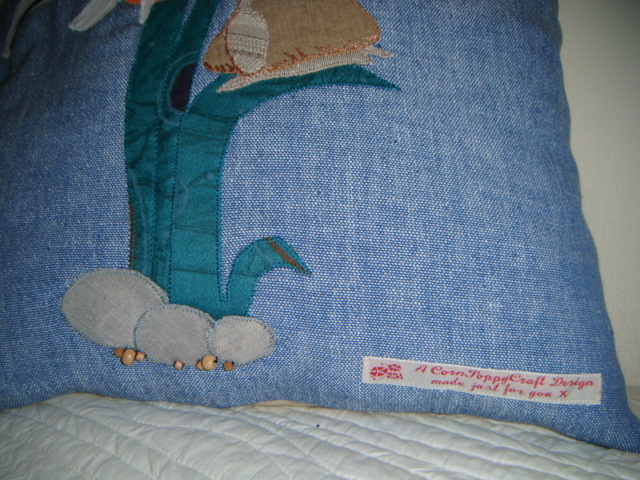 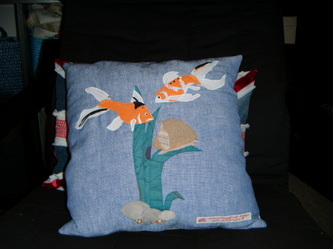 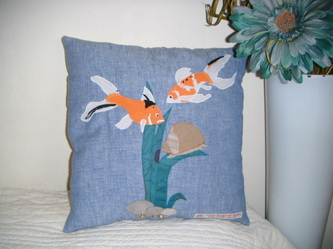 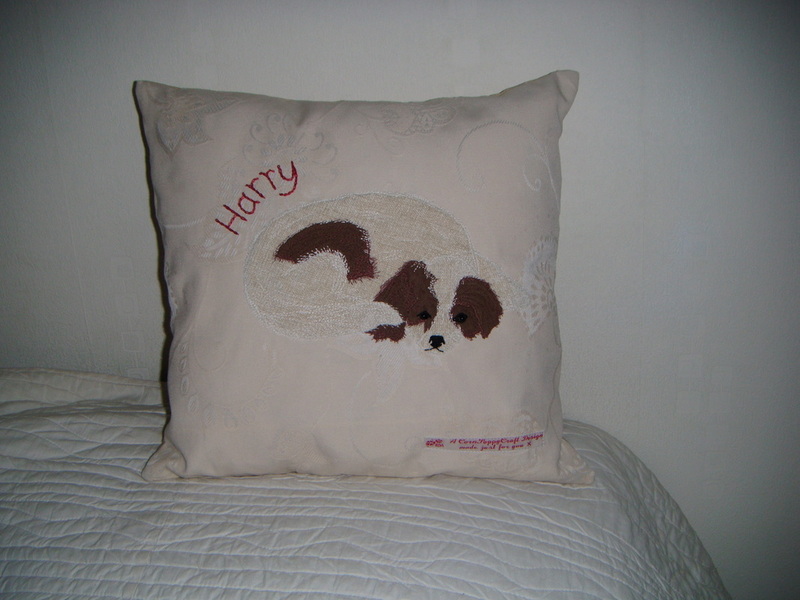 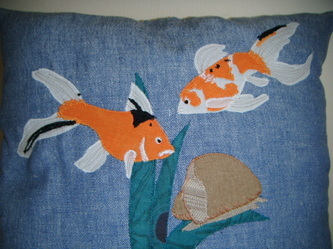 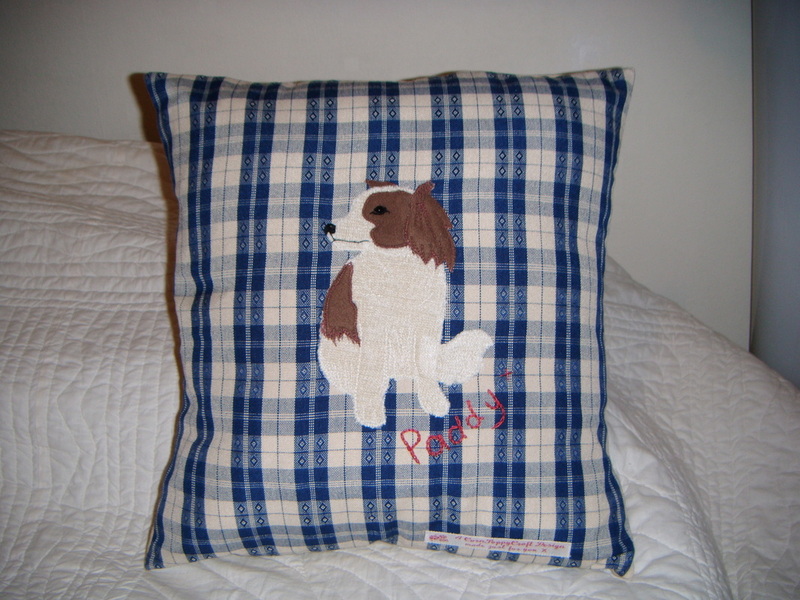 These cushions are personalised with names, dates in hand-embroidery. 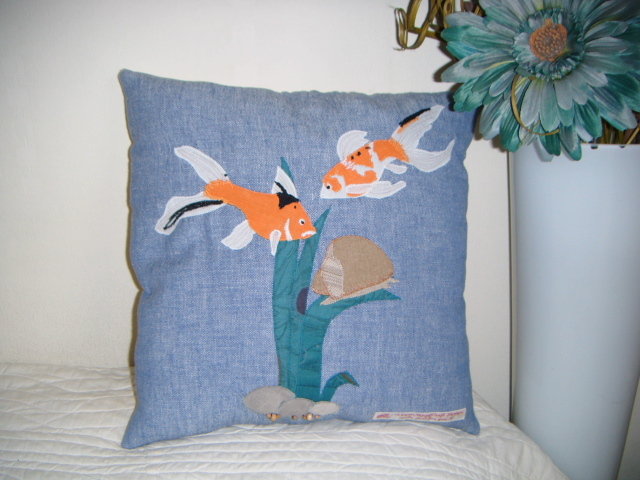 I will work closely with your requirements to create a totally unique cushion of your home or gift for a friend or relative. 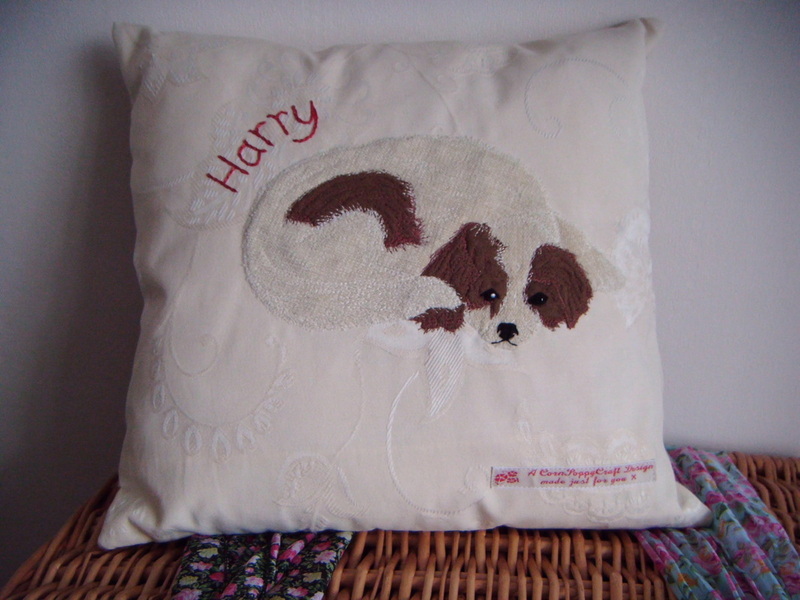 These make a truly wonderful picture or memorial of your favourite loved one that you can cuddle up to every night.